Streitwiser, Andrew - concerning : Early Ideas in the History of Quantum Chemistry. 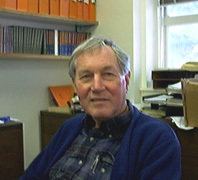 Andrew Streitwieser, born in 1927, M.A. 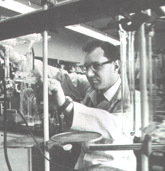 1950, Ph.D. 1952 from Columbia University. Member of the University of California, Berkeley since 1952: Instructor 1952-4, Assistant Professor 1954-9, Associate Professor 1959-63, Professor 1963-92, Professor Emeritus 1993-. Many awards (see list). Some 400 publications, plus one fat book on Organic Chemistry. In the present context here: his famous book : A. Streitwieser, Molecular Orbital Theory for Organic Chemists, John Wiley & Sons, New York, 1961. At left a picture of Streitwieser in 1963 - about the time of his MO book. At the right one of around 2001. Some part of Streitwieser's autobiography. Streitwieser's "Molecular Orbital Theory for Organic Chemists" was a marvalously inspiring book in the 60ies - one could really see and feel that theory was up and coming, understandable and useful. I personally love it to this day. Interestingly enough, Streitwieser himself gives a re-evaluation of this book some 40 years later in his autobiography A Lifetime of Synergy with Theory and Experiment,American Chemical Society, Washington DC, 1997. The following text (of reduced quality) gives an insight into Streitwieser's evaluation of his MO book . It's big resonance at those days is given here in scarce words - but there were many copies sold of this book. Copyright © Dec. 2, 2001 by U. Anders, PhD.